The selection of an Electronic Health Record (EHR) solution for your practice, clinic, hospital, or health system is one of the most important decisions a healthcare provider can make. The impact on how you provide clinical care is paramount; equally important is how an EHR enables the financial health of your organization. While EHR vendors assert their abilities to help you submit clean claims directly to payers, providers remain responsible to understand, maintain, and apply the necessary payer information to process claims correctly. 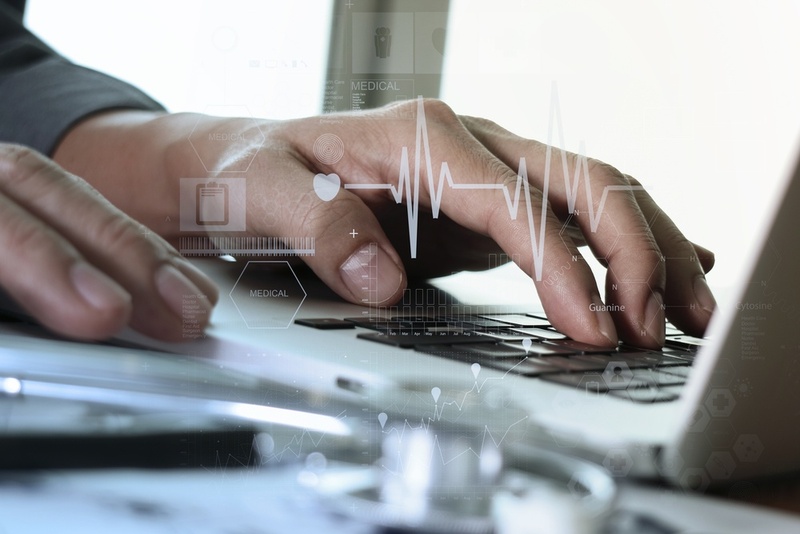 Recognizing the complexities of healthcare payer billing, EHR vendors such as Epic have taken steps to allow direct integration with only select healthcare claims clearinghouses such as Xpeditor™ by Quadax. If you are an Epic Resolute customer, you have options. Most Epic customers make a significant investment in developing workflows within Resolute to handle claim processing, claim follow-up, and denial management functions—Resolute’s Accelerated Claim Reconciliation (ACRD) module enables this functionality by providing third party systems the ability to influence the workflow’s running in Epic. To fully maximize this benefit, Resolute customers will want to consider engaging the expert, Epic selected clearinghouse Xpeditor™ for the creation and maintenance of payer rules—from Medical Necessity (LCD/NCD), Medically Unlikely Edits (MUE), Correct Coding Initiative (CCI), and Outpatient Code Editor (OCE) to the thousands upon thousands of government and commercial payer-specific rules. Attempting to manage this task in-house can be difficult and the risks are high should there be issues. Maximizing your Epic investment without compromising your claim efficiency is the reason Epic customers choose Quadax and our Xpeditor™ Host Interface Module (HIM). Xpeditor HIM provides seamless, real-time integration with Epic Resolute’s Accelerated Claim Reconciliation (ACRD) and Claim Reconciliation (CRD) modules. Claims that require intervention are processed with immediate feedback to Resolute to expedite correction efforts using Xpeditor’s industry leading claim editing rules. Clean claims are processed by the Quadax clearinghouse for payer submission with all communications fed into Resolute for a complete audit trail that includes payer acknowledgments, acceptance, or rejections through final adjudication. When taking the “pulse” of your Epic integration, be aware of the following vitals and make the choice that best enables the financial health of your organization. Xpeditor’s claim editing rules result in an industry-leading first pass rate of 99.6% through millions of claim edits covering LCD/NCD policies, MUE, CCI, OCE, RAC audit guidelines, and thousands of individual payer rules. HIM clients enjoy superior control with XpressBiller, which allows for automated error correction, custom error repair, error suppression, and other powerful claim automation features. Having difficulty resolving an error in Epic Resolute? HIM clients gain the Xpeditor advantage for the ultimate fallback in claim editing capabilities to ensure claims go out clean on the first pass. Learn more about how Quadax can help you make the most of your Epic investment, download Xpeditor’s HIM information sheet. Creating connections, providing intelligence, and equipping providers, revenue cycle optimization solutions by Quadax. (*) Source: A recent Quadax study, Decision Support: Errors and Analysis, performed 1Q 2016 sampling 180+ facilities. Epic and Epic Resolute are trademarks or registered trademarks of Epic Systems Corporation in the United States and/or in other countries.